Ever since school got out, things have been super busy for me! I finished my thesis (almost 40 pages!) and have been doing errands nonstop. You know, all the things you don't have time to do during the school year. Yesterday (Friday), was the first day that I didn't have to set my alarm in the morning. And guess what? Since the poor kitties don't understand time and sleeping in and all that human stuff, they woke me up at the usual 6 AM for breakfast. June is my birthday month! 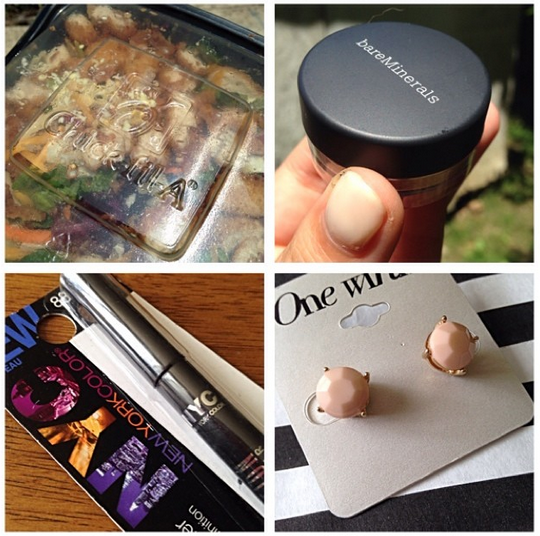 I celebrated my birthday at the beginning of the month and the celebrations kept going and going and going... with all my freebies! 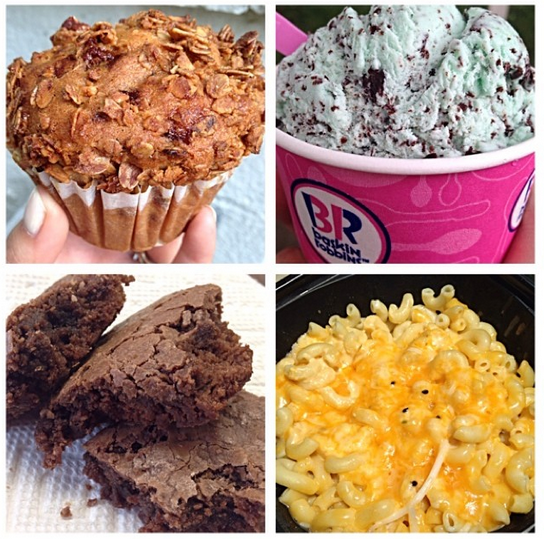 Here are the places you need to sign up for free birthday deals. Ruby Tuesdays: free burger entree! Red Robin: free burger entree! Noodles and Co: free bowl! 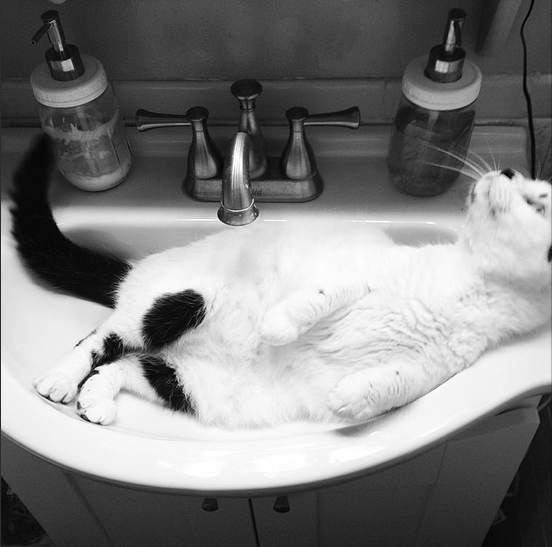 Ahhh... Boy, do I love my freebies! All you have to do is sign up on their website to join their email updates or club or whatever. 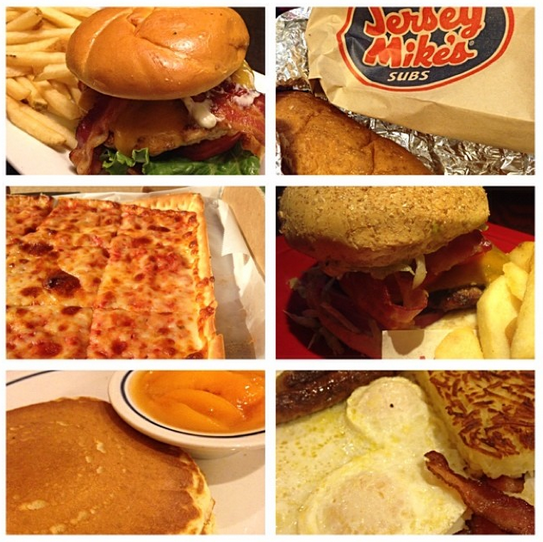 Coupons throughout the year and then a free item on your birthday! 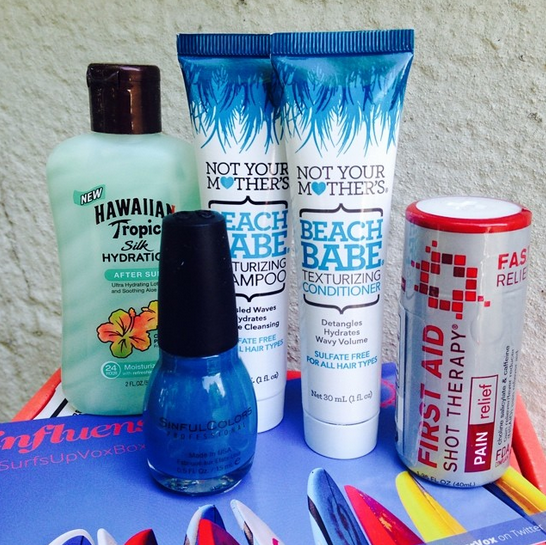 :) And speaking of free goods, I got another Voxbox from Influenster. I haven't used any of the products yet but I am excited to do so really soon! 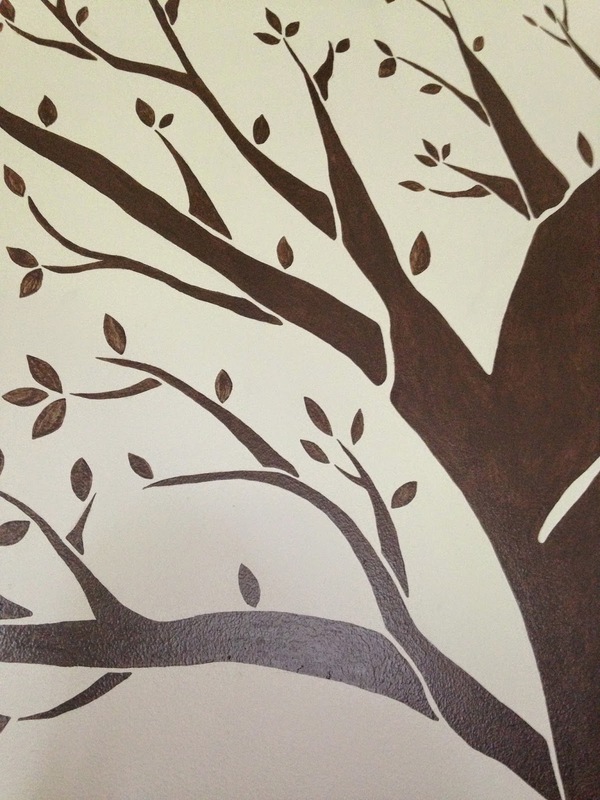 And then this past Thursday, I hand-painted a mural for a couple we are friends with. 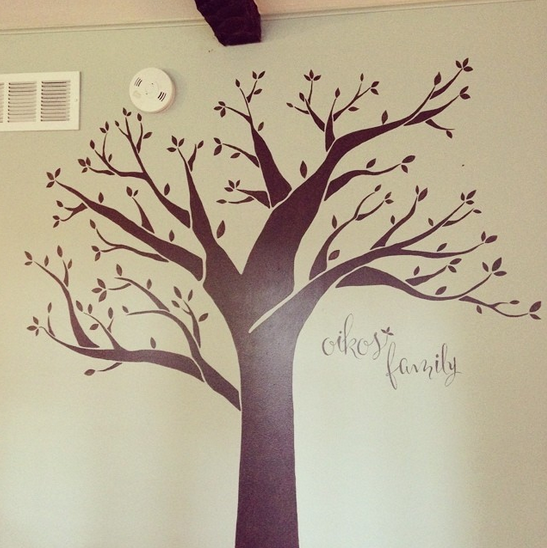 They wanted a giant tree painted on the wall that they could hang family pictures on; a fun twist on the traditional family tree! 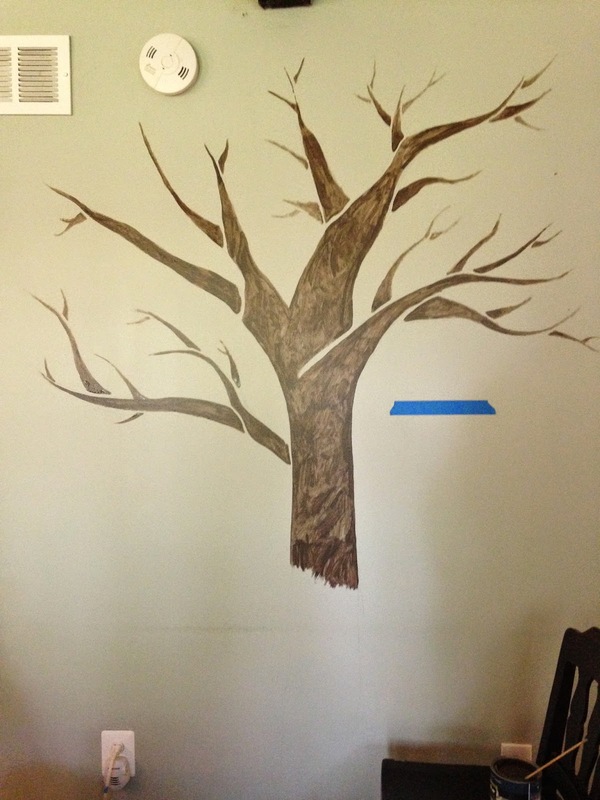 I free handed the mural by first drawing large, gesture pencil lines on the wall to figure out where to put the branches. Then I roughed it in with paint. Looks a little creepy, right? I went back and did a second coat so that the branches were nice and solid. I also went around and refined the edges with a small brush. I also made leaves with a small brush. I only did one coat on the leaves resulting in a more translucent look. Sorry for the glare and the darkness of the pictures. There wasn't a lot of natural light in the room. The family wanted the word "oikos" which is Greek for "family" painted somewhere on the mural. I did the lettering in a font that they pinned on Pinterest and added some more leaves to help tie it to the tree. I have also been doing some gardening since school got out. I got a bunch of perennials from different nice people I located on Craigslist. 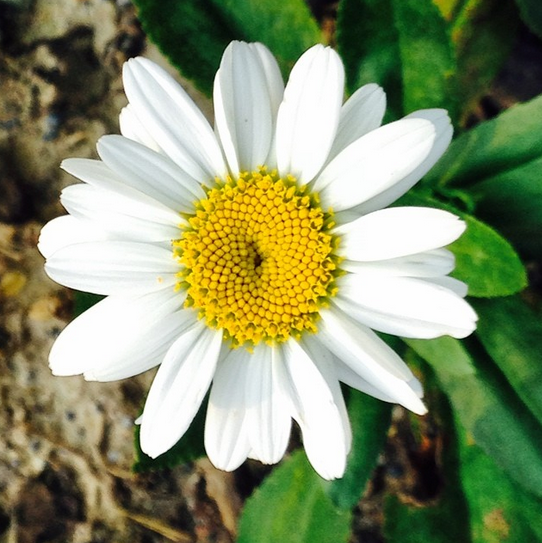 My Shasta Daisies finally bloomed! I was worried that they wouldn't bloom this year since they were transplanted and looking a bit rough. Today was another baby shower day for our dear friends Sean and Rachel as they prepare to welcome baby Caden into the world! I think I have finally gotten the whole baby gift thing down. 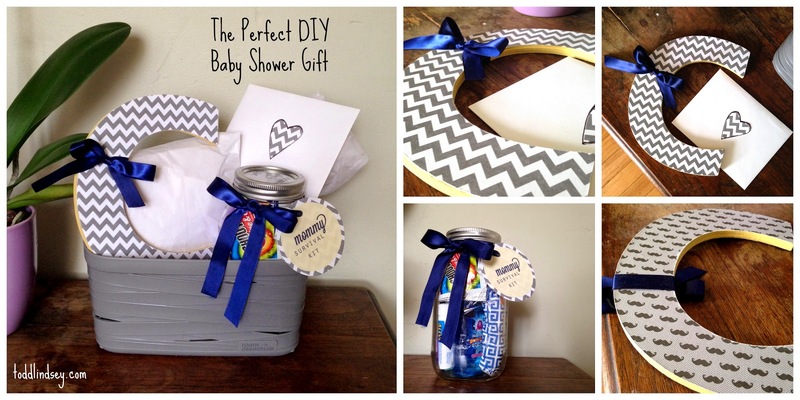 I like making gift baskets in baskets or plastic bins that the mommy can use in the nursery. As you can tell, Caden's room is a navy, yellow and gray chevron theme. I got a chipboard letter from the craft store and adhered fun scrapbooking paper to each side. Luckily, since the letter is "C", it turned out to be reversible! I love the unexpected mustache print on the flip side. :) The mason jar features a "Mommy Survival Kit". I printed the label using Photoshop but you can use PicMonkey or even Microsoft Word. Inside are tissues, wipes, pain reliever, chocolate, gum, hand sanitizer, stain removal wipes and lip balm. Perfect for a mommy on the go! For the card I used a plain white card that I bought in bulk at the craft store. I glued a heart in matching paper on the front of then envelope and on the front of the card. So much more affordable than those expensive Hallmark cards! The tissue-paper-wrapped-bundles in the back are items from the registry. I also made sure to attach the gift receipts inside the card. Take a breather outside in your garden space from time to time! I love the tree you painted, a great idea and well made! Happy belated birthday! I am glad you keep on celebrating...that's how it should be. THe baby presents are wonderful. Well done and also terrific job on the tree. I love it.